The Defence Minister of India inaugurated IFC-IOR in Gurugram. The IFC for Indian Ocean Region has the primary objective of jointly monitoring the vast Indian Ocean Region. The Indian Ocean which is increasingly becoming the bone of contention between different countries, also suffers threats from natural disasters, piracy, terrorism and trafficking. IFC-IOR will provide a way to tackle these challenges through collaborative and cooperative efforts. Internationally, India has White Shipping Agreements with 36 countries, and three multinational agencies which provides details of all commercial ships passing through the ports in their region. India also gathers information inputs from long range identification and tracking mechanism under the International Maritime Organisation. Such diverse and complex data is fused together by a software to produce into a “common operating picture”. The fact that more than 75% of the world’s maritime trade and 50% of global oil consumption passes through the Indian Ocean Region proves the significance of guarding the IOR. WEF is Swiss non profit foundation, based in Geneva. It works to improve the state of the world through public-private cooperation. It serves as independent not-for-profit organization that works closely with other international organizations. WEF is best known for its annual winter meeting for five days in Davos, a mountain resort in Graubünden, in eastern Alps region of Switzerland. The meeting brings together some international political leaders, 2,500 top business leaders, selected intellectuals, and journalists to discuss the most pressing issues facing the world. This punitive act was signed by President Donald Trump in August 2017. It mandates US administration to impose sanctions on any country carrying out significant defence and energy trade with sanctioned entities in North Korea, Iran and Russia. This is an act by the Congress, thus the President of the United States of America doesn’t have too much of authority over it. 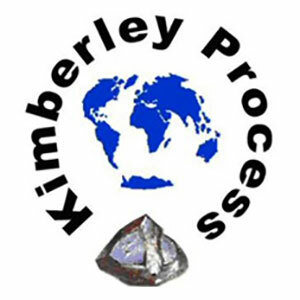 Kimberley Process is joint initiative of governments, industry and civil societies to stem flow of ‘conflict diamonds’, rough diamonds used by rebel groups to finance wars against legitimate governments. The KPCS came into effect from 1 January, 2003 through a United Nations General Assembly Resolution. It has evolved into effective mechanism for stopping trade in conflict diamonds. Why in news? India was selected as Chair of Ad Hoc Committee on Review & Reforms to look into various issues pertaining to the Kimberley Process Certification Scheme (KPSC). It entered into force on 1997. 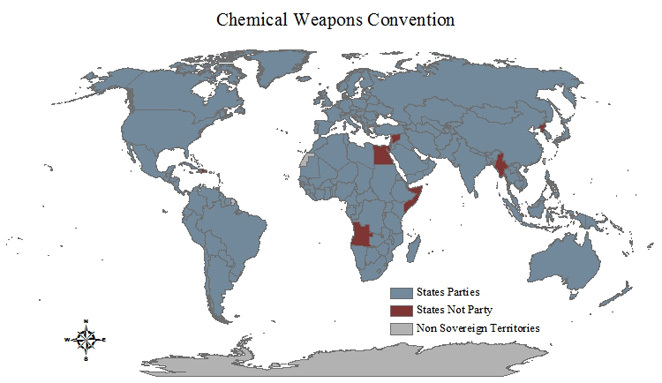 The full name of the treaty is the Convention on the Prohibition of the Development, Production, Stockpiling and Use of Chemical Weapons and on their Destruction. The CWC is open to all nations and currently has 193 states-parties. Israel has signed but has yet to ratify the convention. A key non-signatory includes North Korea. Most recently, Palestine deposited its instrument of accession to the CWC. As of October 2016, about 93% of the world’s declared stockpile of chemical weapons had been destroyed.